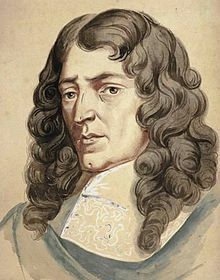 Marc-Antoine Charpentier (tiếng Pháp: [maʁk ɑ̃.twan ʃaʁ.pɑ̃.tje]; 1643 – ngày 24 tháng 2 năm 1704) là nhà soạn nhạc thuộc thời kỳ ba rốc Pháp. Tác phẩm của ông bao gồm oratorio, mass, opera và nhiều thể loại khác nữa khó có thể phân loại. Les amours d'Acis et Galatée, Lost, 1678? Celse Martyr, Music lost; P. Bretonneau's libretto published in 1687. Le retour de printemps, Lost. Les Fâcheux, 1672. Music lost (if indeed Charpentier did more than simply conduct the play a few times, as the records of the Comédie Française suggest), comedy by Molière. Charpentier's Psaume "Super Flumina Babylonis"
^ Ranum, Patricia M. "Marc-Antoine Charpentier enters law school, October 1662"
Cessac, Catherine. Marc-Antoine Charpentier. Translated from the French ed. (Paris 1988) by E. Thomas Glasow. Portland (Oregon): Amadeus Press, 1995. Cessac, Catherine, ed., Marc-Antoine Charpentier, un musicien retrouvé (Sprimont: Mardaga, 2005), a collection of pioneering works originally disseminated in the Bulletin Charpentier, 1989–2003. The bulk of the articles deal with his life and works: his family and its origins, Italy and Italianism at the Hôtel de Guise, his work for the Jesuits, the sale of his manuscripts, plus background information about specific works. Cessac, Catherine, ed., Les Manuscrits autographes de Marc-Antoine Charpentier (Wavre: Mardaga, n.d.), papers presented at the conference held at Versailles, 2004. The articles in this volume focus primarily on what scholars can deduce from the 28 autograph volumes that contain his compositions. Ranum, Patricia M. "A Sweet Servitude: A musician's life at the court of Mlle de Guise," Early Music, 15 (1987), các trang 347–60. Ranum, Patricia M. "Lully Plays Deaf: Rereading the Evidence on his Privilege," in John Hajdu Heyer, ed., Lully Studies (Cambridge, UK: Cambridge University Press, 2000), các trang 15–31, which focuses on Charpentier's powerful contacts. Ranum, Patricia M. (2004). Portraits Around Marc-Antoine Charpentier. Baltimore: Dux Femina Facti. ISBN 978-0-9660997-3-7. Anthony, James R. French Baroque Music: From Beaujoyeulx to Rameau. Revised and expanded edition. Portland (Oregon): Amadeus Press, 1997. Hitchcock, H.W. Les Œuvres de Marc-Antoine Charpentier: Catalogue Raisonné. Paris: Picard, 1982. Thomas, Downing A. Aesthetics of Opera in the Ancien Régime, 1647–1785. Cambridge (UK): Cambridge University Press, 2002. Tunley, David. The Eighteenth-Century French Cantata. 2nd edition. Oxford (UK): Clarendon Press Oxford University Press, 1997. Trang này được sửa đổi lần cuối vào ngày 4 tháng 8 năm 2016 lúc 08:03.